Who didn't love Choose Your Own Adventure books? This fun blog post highlights 10 of the weirdest ones. Ninja Cyborg? Tattoo of Death? You Are A Shark? 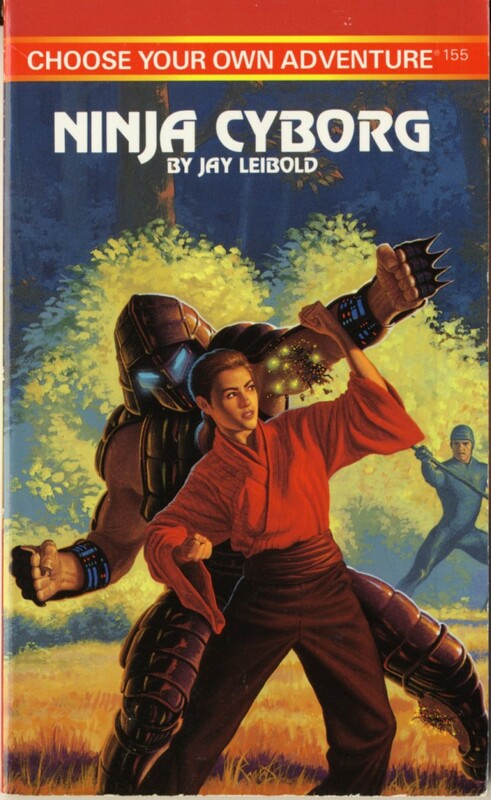 Share your memories of CYOA books in the comments! I didn't love CYOA books--I hated flipping back and forth through the book to choose a different adventure. I distinctly remember one time just reading a CYOA book straight though and I actually enjoyed it more. I know I'm in the minority here, though. Mystery of the Maya! It was the first CYOA I read and always my fav. I think at one point you got human sacrificed! Freaky!